Biologists have unlocked new insights into the mysterious evolution of colour diversity among fish, and how aggression from other species plays a part in patterns of colour diversity observed in the wild. The biological puzzle of colour diversity, or morphs as they are known, among different species has long interested biologists. Part of the mystery is trying to understand why some colours are much more rare. An international team of researchers from the University of Turku, Finland, and Monash University, Australia, believe colorful Amphilophus cichlid fish could provide answers by observing the way other species react to them based on their colour. Cichlid fish are native to the crater lakes of Nicaragua in Central America and have distinct gold or dark colour patterns. Lead researcher Dr Topi Lehtonen, from the University of Turku and Monash University, said differences in territorial aggression directed by other species of fish were considered as a reason why individuals of the gold morph were rare. 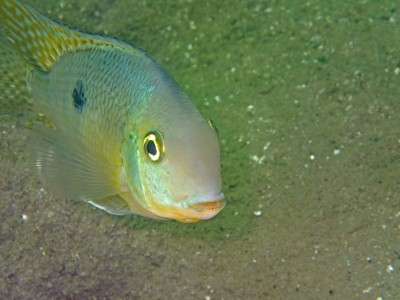 "In Amphilophus cichlids, individuals of the gold morph are socially dominant over the dark coloured fish, at least under laboratory conditions," Dr Lehtonen said. "Yet, gold individuals are generally much rarer in the population." To test their prediction, the researchers carried out an experiment presenting gold and dark coloured Amphilophus models to another species of fish, the moga, which are naturally found in the same habitat. Study co-author Associate Professor Bob Wong, from Monash University's School of Biological Sciences, said mogas were mean and aggressive. "We found that they attacked the gold models more than the dark ones," Dr Wong said. "If gold individuals are subjected to a heightened level of aggression then this could potentially explain their lower frequency in the wild." Dr Topi Lehtonen added that "these results suggest aggression from other species could play an important role in patterns of colour diversity observed in the wild." The researchers believe that others may target the gold fish more aggressively because they are rare and perceived as a greater threat. In contrast to dark fish, the gold fish cannot change their colours and patterns to become less threatening or less obvious to others. The study was published in the prestigious journal, Proceedings of the Royal Society B.